Finding the right tires for your vehicle is no easy task. 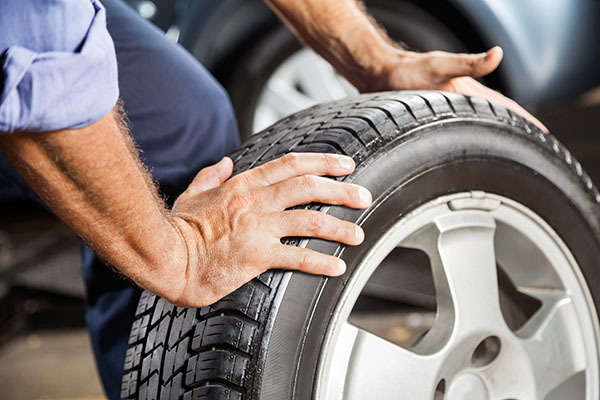 Tires usually need to be replaced every three to four years and can significantly affect the performance of the car if they are not compatible. There are also different tires specifically created to withstand certain seasons and weather inclinations. Luckily, the experts at Drivers-Licenses.org have put together a list of tips to help you select the best types of tire for your car. The first thing to do when figuring out the size of the tire is to check your vehicle’s owner manual. The team at Drivers-Licenses.org also suggests checking the placard on the driver’s side of the door, which usually states the exact tire measurements needed. When choosing new tires for your car, you must make sure that the measurements are exact to the ones listed in the manual or on the placard. Although tire size measurements must be exact when picking new tires, you can be flexible with the load indexes and speed ratings. All-season tires work year-round regardless of the weather conditions. According to the team at Drivers-Licenses.org, these tires come in two different types of speed ratings: S- and T-. All-season tires are usually best for mainstream cars or SUVs. For newer cars with stronger cornering grip, drivers should consider purchasing performance all-season tires, which come in H- and V- speed ratings. If you own a sports car like a Corvette or a Ferrari, you may be better off purchasing ultra-high-performance all-season tires. These types of wheels come in ZR-, W- and Y- speed ratings and perform better when paired with faster cars. Trucks or heftier SUVs require specialty tires in order to haul heavier loads around. If you own a truck, the group at Drivers-Licenses.org recommends ordering large all-season/all-terrain truck tires to provide a more aggressive tread pattern for off-road traction. Winter weather often results in dangerous driving conditions, which is why truck drivers who live in colder climates must always be equipped with winter/snow tires. Winter tires must also be bought in sets of four in order to prevent skidding and to improve braking power. Once you’ve learned about all the different types of tires there are, you must determine which one is right for you. Most tire shops and online sites offer preferences that can vary based on price, brand, performance, speed rating, rolling resistance levels or snow services. The team at Drivers-Licenses.org advises you to determine what your priorities are before selecting new tires. If you are on a tight budget and don’t wish to spend over a certain amount, then you can filter your tire selection by price. If cost is irrelevant to you and you prefer choosing something based on performance and durability, you will want to take a closer look at performance levels and brands. Whatever your priorities are, make sure you choose tires that will fit your car properly and ensure optimal safety while driving.